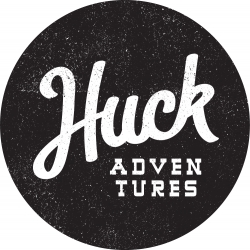 Boulder, CO, April 12, 2019 --(PR.com)-- Huck Adventures, an outdoor app startup on a mission to connect outdoor enthusiasts in a way never done before, announced it is currently raising $1 million in seed funding. Ben Nelson, Huck Adventure’s Founder and CEO, is a die-hard entrepreneur, and has been leading the boot-strapped company since August of 2019. "I got the idea for Huck after years of traveling and struggling to find people to go on adventures with," Nelson said. "While at home and abroad, I met others who faced the same difficulties, and I wanted to create a solution that would not only help people connect, but allow them to get outside and enjoy the outdoors more often." Huck Founder and CEO, Ben Nelson developed a love of the outdoors as a kid exploring the woods and open land near his home in rural Missouri. As an adult, he traveled the U.S. and abroad, but struggled to find people at the right skill level to rock climb, cycle, and ski with when he visited new places. So he set out to create Huck Adventures - a community to unite people with the desire to get outside, explore the world, learn from each other, and create connections that will last a lifetime. Learn More About Huck Adventures.